It's Vegas time, baby! And not in a bro-y way. I'm on my way to Virtuoso Travel Week—coined as "the fashion week of travel"—so flying in on a private jet isn't unusual. 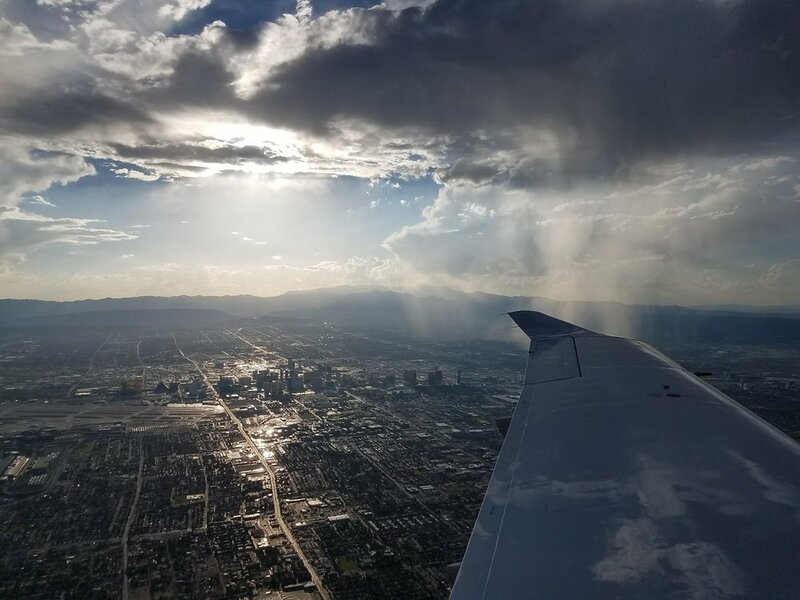 The perks for flying a private jet into Vegas are obviously notable (you don't have to go through intense security, you can arrive 15 minutes before your flight, you don't have to wait at baggage claim when you land, etc). 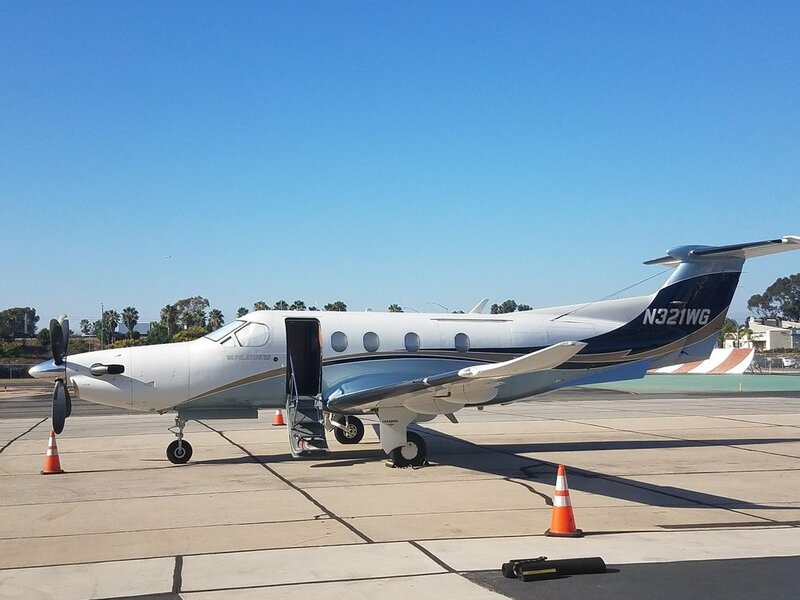 I've traveled with different jet companies (I'll write a longer story later), but I love Surf Air, a California-based, all-you-can-fly membership-based jet company that has some cool cats working behind the scenes. They're basically the Soho House of private jets. Again, I'll write a feature story soon but one perk that beats most small private aircraft: bathrooms (if you've flown private, you know many short-haul flights don't have bathrooms). Surf Air is also very pet friendly. Look at Ruby go! Great views of the Vegas Strip.